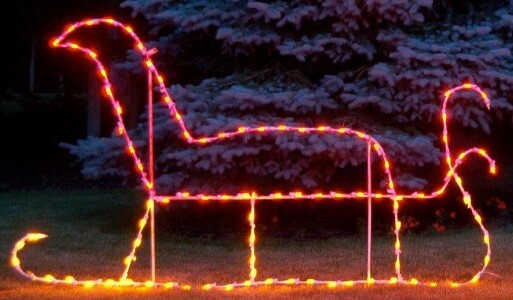 Every holiday displays needs Santa's sleigh. This Santa Sleigh stands at 4.5' tall It is made up of 3/8" steel frames and 18 gauge wire. The frames are Powder coated in white. Lit with LED Retrofit Bulbs.